Blue Guard’s BG-One Oil and Fuel Detector with Smart Bilge Pump Switch won the IBEX innovation for electrical equipment. With this switch, Blue Guard seems to have thought through the problem of oil in the bilge and come up with a smart solution to ensure safety while minimizing the potential for environmental impact. 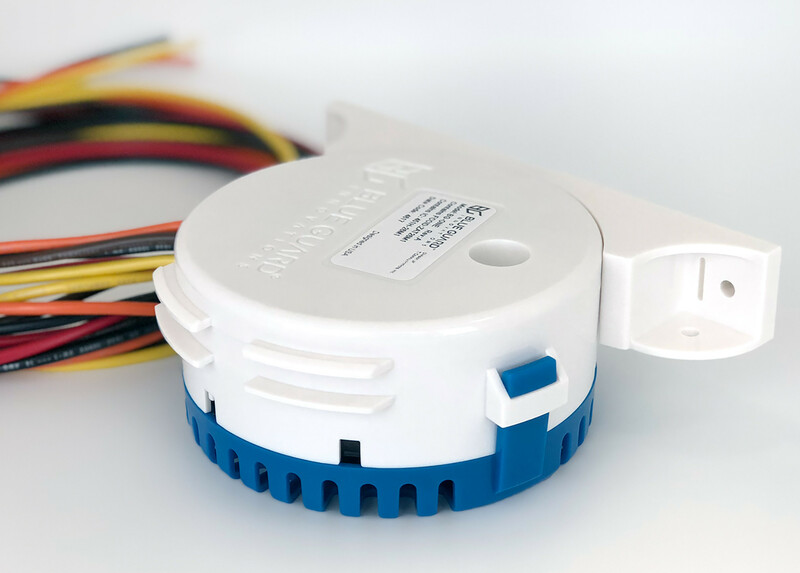 The $219 BG-ONE is a solid state bilge pump switch with multiple sensors able to detect the difference between being immersed in water versus fuel or oil. 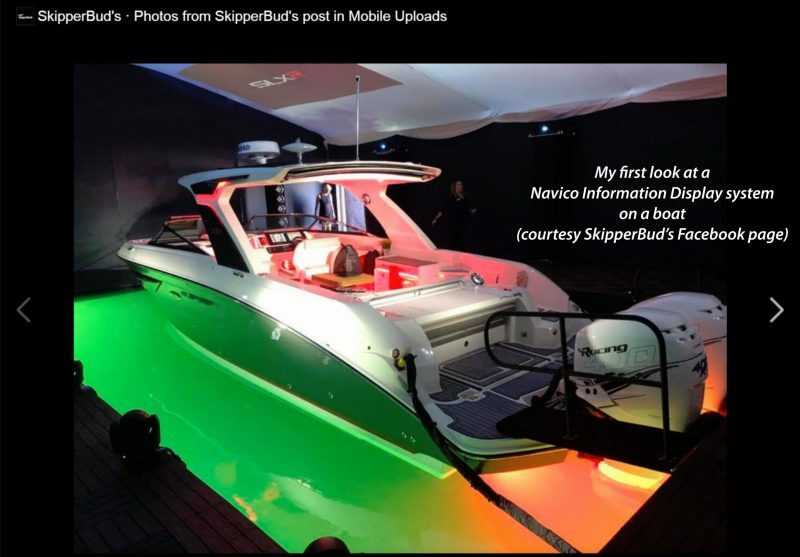 So when the sensor is immersed in oil it can deactivate the bilge pump and trigger an alarm at the control panel and via any Bluetooth connected devices. Because oil floats on top of water, as the water level raises the oil will float past the pickup of the bilge pump. Once the oil level is safely above that point the switch can engage the pump and remove the water under the oil. 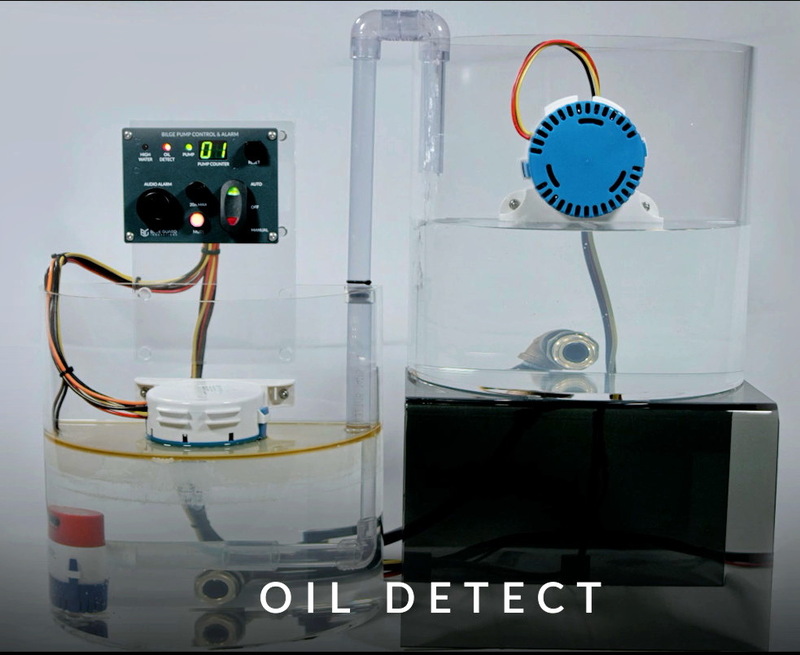 As soon as the water level drops back to the point where the switch detects oil again it can stop pumping again (depending on the mode you’ve set). 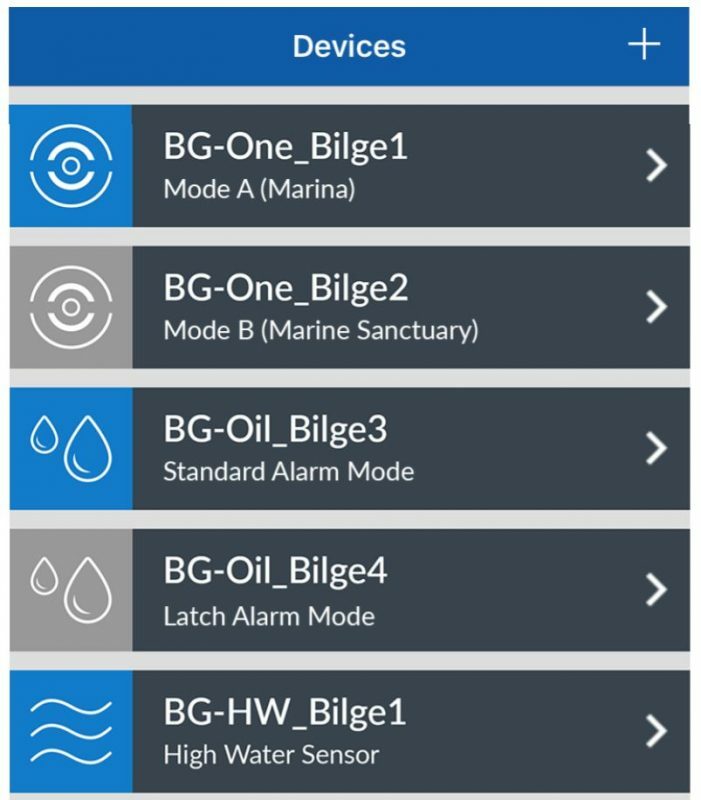 Each BG-One switch has a built-in Bluetooth radio allowing configuration via mobile app, and also monitoring of the parameters like temperature, voltage and current consumed by the connected bilge pump. The most important configuration task is setting the switch mode. Mode A or Marina Mode turns the pump on when water is detected, turns the pump off when oil is detected, and then turns the pump back on when only water is detected. Mode B or Marine Sanctuary mode turns the pump on when water is detected and then turns off and disables the pump when oil is detected. Standard or High Seas mode disables the oil detection and functions as a standard bilge pump switch. Also pictured in the test tank above is the Blue Guard Control Panel which provides an audio alarm, bilge pump activation counter and manual override of the pump control. The control panel is sold separately with a $219 list price. Blue Guard also offers versions with differing capabilities. These include the BG-SWA bilge pump switch with high water alarm, BG-SW bilge pump switch, BG-HW high water sensor and BG-OIL oil and fuel detector. I have received a demo unit and hope to get it installed shortly and report on the effectiveness of the switch. As a guy who once came perilously close to pumping a lot of diesel into the wonderful upper North Carolina section of the ICW, I think that this switch looks terrific. I also like how they’ve used Bluetooth for configuration and direct monitoring, and hope we see a lot more of that in used-to-quite-dumb system components like this. Thanks, David. 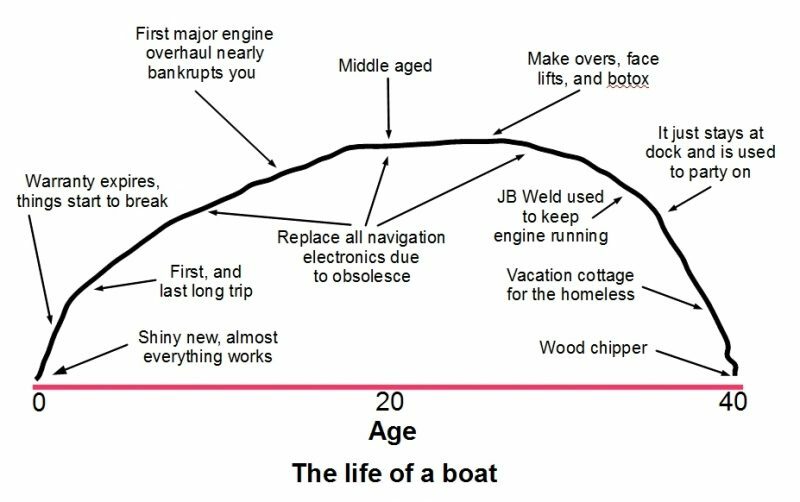 I guess it’s matter of manufacturing cost versus potential market, but I sure wouldn’t mind floating a plank of oil and diesel absorbing balsa in my bilge.